Trim the stems off of the broccoli, wash, and break into florets. Bring a large pot of water with 1 Teaspoon of salt to a rapid boil. Put the pasts into the boiling water, and cook for 7-8 minutes until el dente. Drain and rinse the pasta. Put the pasta back into the large pot and cover to keep warm. In a large skillet over medium hot heat, heat the olive oil. Add the garlic to the skillet, and cook until tender. Place the broccoli into a covered microwave proof container with a small amount of water and cook on high for four minutes or until tender. Drain, and put into the large pot with the pasta. Add the artichoke hearts to the skillet with the garlic. Cook over medium low heat for 3-5 minutes until tender. 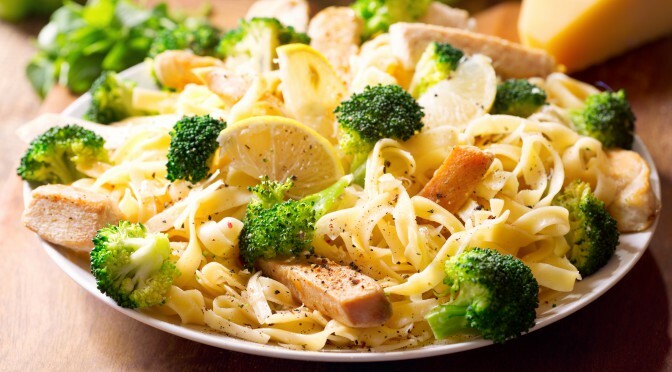 Pour the artichoke mixture over the pasta and broccoli and mix thoroughly. Add the cheeses and toss until well mixed. Put into a serving dish and top with the chopped basil.